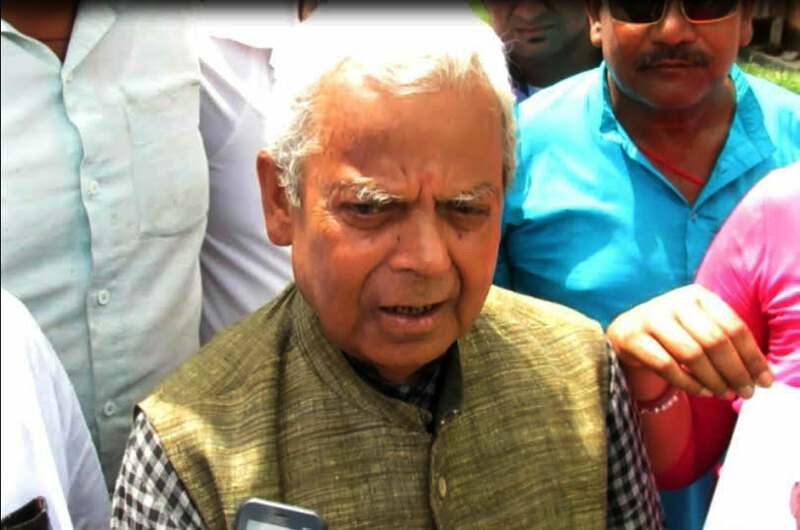 RAUTAHAT: Tarai Madhes Democratic Party Chairman Mahanta Thakur said that it was the responsibility of the government to create conductive environment for talks by implementing past agreements. Thakur made such a statement in Gaur, the district headquarters of Rautahat, today. He reached Gaur this morning to pay last respect to Raj Kishor Thakur, who was killed in police firing during the general strike on August 2. Leader Thakur accused the government of trying to promulgate the new constitution forcefully by declaring some of the districts of the Madhes as riot-hit zone and mobilising a large number of army personnel. He suggested the government to move ahead through consensus rather than raining bullets on the general public. According to him, the government should implement all the agreements reached with the Madhesi people after the 2007 Madhes revolt and should also address the demands of the Madhesi people to form autonomous Madhes state. Thakur accused the four major political forces of moving ahead by signing the 16-point agreement in a messy way and without making any consultations with other parties. Saying that the ongoing agitation in Madhes was a political issue, he said that the country would invite a great disaster if the government tried to resolve the problem forcefully. Moreover, he urged the government to settle the issue by political means. He demanded the government to provide proper compensation to the family of Raj Kishor. Thakur also demanded free treatment to the people who were injured in the agitation and to release those who were detained during the protest.